Jessica graduated from the University of Alberta in 1998 with a Bachelor of Science Degree in Physical Therapy (with distinction). She continued her education with numerous post-graduate courses in manual therapy, myofacial release, and acupuncture. 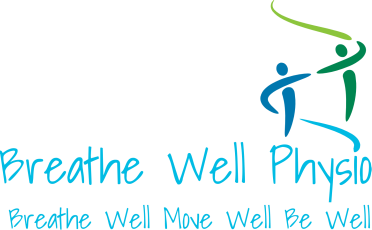 In 2006, after attending a physiotherapy symposium, she discovered the missing element in her practice - breathing. After attending her first course in breathing biofeedback, she began to integrate breathing retraining into her practice. In 2010, she traveled to New Zealand to become certified in the BradCliff Method® of breathing retraining. In 2016 she completed a Master of Science in Applied Breathing Sciences from the Graduate School of Behavioural Health Sciences, which allows her to focus on the behavioural aspects of dysfunctional breathing. In 2015 she was awarded a grant through the Clinical Research Innovation Fund and is investigating the link between dysfunctional breathing and asthma in children. She is currently a co-investigator in another project looking at pelvic floor function during inspiratory muscle training. Jessica is the 2016 recipient of the Pinnacle Award of Excellence from Physiotherapy Alberta. Jessica is the Canadian Instructor for the New Zealand-based BradCliff Method®. She has recently become a certified PINC physiotherapist through the PINC & STEEL Certification program. Soprano Rachel (Brager) Goldenberg was born and raised in Calgary, Canada. 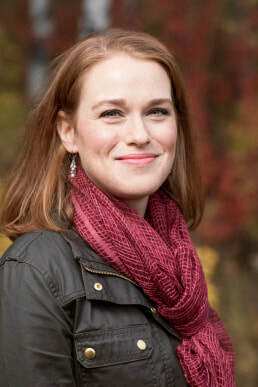 In 2012, she received her Doctor of Musical Arts in vocal pedagogy from Shenandoah University where she was the recipient of the Dean’s Graduate Scholar Award for “exceptional aptitude for research and scholarship.” She also holds undergraduate and graduate degrees in voice performance and pedagogy from the Westminster Choir College in Princeton, New Jersey. A winner of numerous awards and scholarships, she has sung with The Banff Summer Arts Festival, Opera Nuova, Westminster Opera Theatre, Cowtown Opera and Chesapeake Concert Opera. As a chorister, she has sung with many of the US’ top orchestras including the New York Philharmonic under such conductors as Sir Neville Mariner, Sir Colin Davis, and Lorin Maazel. She was the regional runner up in the 2012 in the Intermountain NATS Artist Awards (NATSAA) and a national semi-finalist in the 2014 competition. Dr. Goldenberg has been privileged to study with some of the major authorities on voice of our time including Scott McCoy, Marvin Keenze, Lindsey Christiansen, Jeanette LoVetri, Wendy LeBorgne, Katherine Green and Johan Sundberg. Additionally, she was selected to participate in the prestigious 2011 NATS Intern program at the University of Wisconsin: Eau Claire. She has adjudicated at several local festivals and has been in demand as a guest lecturer, particularly on subjects relating to voice science, vocal health and vocal pedagogy. Dr. Goldenberg’s doctoral dissertation focused on the use of singing lessons as an adjunctive airway clearance technique for Cystic Fibrosis. She has presented her dissertation research and continuing research in the use of singing for respiratory ailments across the United States, Canada and Europe. Her article, “Singing for Respiratory Health: A Literature Review” was recently published in the peer-reviewed Journal of Voice. As an active and trained singing voice specialist, Dr. Goldenberg frequently assists injured singers, actors and other voice users referred to her from medical professionals and the voice community. Dr. Goldenberg is the Voice Consultant at the Advanced Breathing Disorder Clinic, with a special interest in working with individuals with vocal health concerns. Valerie Borsos is a Respiratory Therapist and Certified Respiratory Educator, working for the past 26 years. Most of her experience has been community based in north central Saskatchewan. Valerie was a part of a team that worked in one of the first community respiratory care programs in the province. They worked collaboratively in a primary care setting to assist individuals with chronic lung disease in their day-to-day management. She is experienced in smoking cessation support, COPD education and management, and community assistance with managing complex lung disease. Valerie has always valued continuing education, being involved professionally with the Saskatchewan College of Respiratory Therapists and Saskatchewan Thoracic Society. Throughout her career has taken further education in Pulmonary Function Testing, Sleep Disordered Breathing, Smoking Cessation, COPD and Asthma. Most recently, in 2018 she obtained BradCliff Method Level 1 Certification.